Of all the cities in the world, Vancouver always tops the list as one of our favourites. It’s easy to get to from Australia, with direct flights out of Sydney, Melbourne, Brisbane and Perth; it’s full of great food, good shopping and fun activities, whether you’re going with family or a group of friends; and you’re a stone’s throw away from some of the best skiing in North America. Yep, there’s something for everyone from waterfront luxury to urban downtown living and Fairmont Hotels offer a hotel for all kinds of winter travelers from city streets to mountain peaks. 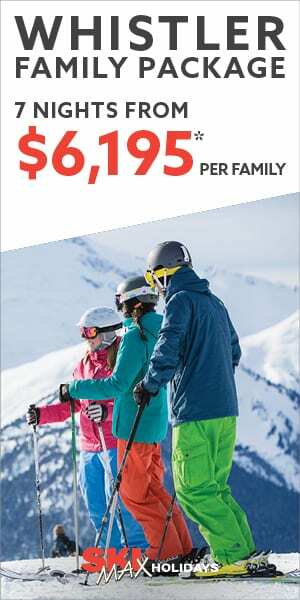 Head to Vancouver and nearby Whistler Blackcomb this spring for some exclusive discount deals based on your style of living, skiing and snowboarding. If you’re still craving a ski holiday for this Northern Hemisphere season, we’d like to be the devil on your shoulder and encourage you to just go. And where better than to North America’s largest ski resort? It’ll only take you two hours to drive to Whistler Blackcomb’s 8000 acres of skiable terrain from Vancouver, and you’ll even get to enjoy the killer views of the Sea to Sky Highway along the way. Whether you’re bringing all your friends along or taking the family for some spring laps, you’ll love the legendary slopes, parks, peaks and pistes. In such a large resort, you’ll want to stay somewhere with easy access to the slopes. Fairmont Chateau Whistler offers up a ski-in, ski-out location along with après ski entertainment and an indulgent spa for those unwind-off-the-mountain moments. Not to mention luxe rooms with some of the best mountain views to be found this side of Vancouver. 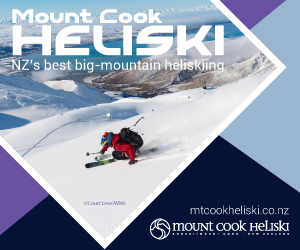 Fancy spring skiing for free? 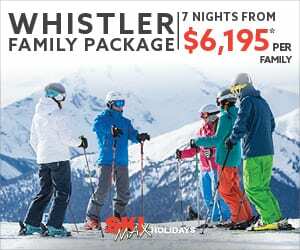 Be sure to book the Ultimate Whistler Ski Experience package, including dual mountain Whistler Blackcomb lift pass per adult and savings of 15% off luxurious Fairmont accommodation. Book by April 30, 2019 and SAVE 35% off your 7+ night vacation for stays between November 28, 2019 and April 30, 2020. Get a jump on next year’s holiday planning and be rewarded with the lowest prices of the year on 7+ nights stays between November 28th, 2019 and April 30, 2020. For full details, restrictions and to book, click here. It’s not a trip to Canada without some time spent in Vancouver’s downtown streets. Historical Gastown is perfect for finding incredible food offerings and some of the best people-watching in the city. You can also wander through the incredibly unique Granville Island for some of the best live music, events and restaurants in the city; or check out Robson Street for some seriously good shopping. Paired with the Canadian dollar, you’ll be sure to find some bargains. The Castle in the City is the ultimate spot to stay – also known as the Fairmont Hotel Vancouver. First built in 1888, and now with beautifully renovated rooms, you’ll get to enjoy contemporary luxury along with the indoor pool and, best of all, their two canine Ambassadors, labradors named Ella and Elly. Book in to enjoy a Deluxe Room in the price of a standard Fairmont Room, along with breakfast for two. Vancouver life is all about the ocean – even in the winter, you’ll find people making the most of their coastal surroundings by strolling or biking or rollerblading along the water’s edge in Stanley Park. Be sure to also stop by Vancouver Aquarium, Canada’s largest aquarium, to check out 50,000 animals spread over 30 unique exhibits. When you’re done with the water, it’s time to head to the snow. Grouse Mountain is located in North Vancouver and offers up incredible views from the slopes. They’re also open until 10pm daily for night skiing, so go on a clear night to watch the glittering lights of the city sparkle below as you carve laps across a variety of open runs. When you’re all worn out from the adventures, retreat to Fairmont Waterfront, where they do après right – your booking includes cheese or a chocolate fondue. We’re not drooling, you’re drooling. Book one night at Fairmont Waterfront and receive 2 lift tickets to Grouse Mountain, an après ski fondue, complimentary parking and complimentary ski storage. As a city, Vancouver knows how to do winter. The mild coastal temperatures make for some great exploring, so grab your scarf and check out Capilano Suspension Bridge (beautifully lit up and surrounded by gorgeous fir trees), the picture-perfect Robson Square Ice Rink, the Vancouver Art Gallery or even the Museum of Anthropology, which has a rotating exhibition. You’ll be in perfect proximity at the modern-yet-luxe Fairmont Pacific Rim, which is positioned downtown to make the most of the city’s most popular attractions along with its hidden treasures. The team are driven by art, music, fashion, wellness, culture, culinary and cocktails – so they’ll be able to point you to all the local favourites. And when you’re ready for a sleep in, they also happen to have a breakfast-in-bed package. Because nothing says ‘holiday’ like breakfast in bed. Enjoy accommodation in a guestroom or suite plus a full breakfast for two daily. Book here. As far as airports go, Vancouver International Airport is a great one – full of soothing water features, comfortable seating and great food options. When it’s time to fly home (or fly in), ease the transition by staying closer to the airport on your first or final night in Vancouver at the Fairmont Vancouver Airport Hotel. It’ll ensure minimal stress and maximum time to enjoy what the city has to offer. Stay at the Fairmont Vancouver Airport and enjoy 10% off their best available daily rate, along with a winter treat welcome amenity and complimentary storage of your winter woolies and ski gear at their ski valet while you explore Vancouver. Click here to book.